Sensory Integration Therapy (SI) approach works on “integrating” all sensory information to allow the child to respond appropriately in their environment. Comprehensive, non-threatening assessments, varying in complexity according to the wishes of the parents and child. Two Occupational Therapists for price of one! We do joint assessment sessions when appropriate. Standardised assessments exploring motor skills, sensory processing, visual and auditory functioning, should this be warranted. 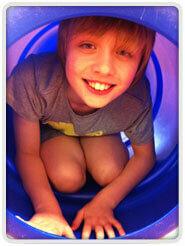 We can administer Sensory Integration & Praxis Tests (SIPT). Home and school observational assessments as part of overall assessment, should this be warranted. Consultation and goal planning sessions. 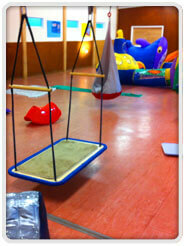 Individual Sensory Integration treatment in fully equipped space, making use of suspension points. SI treatment offered flexibly in various environments – inside, outside and in water. 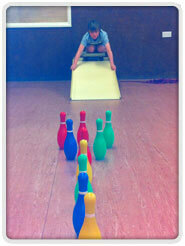 Joint Sensory Integration treatment for 2 children, should this be clinically indicated. Assessment and delivery of Therapressure (Wilbarger). Sensory diet programmes for home and school, including teaching to staff and monitoring of this. Motor programmes for home and school, including teaching to staff and monitoring of this. Professional workshops incorporating the principles of sensory integration theory. 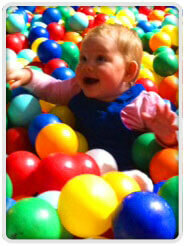 We can advise and supply visual aids as appropriate, to compliment the sensory programmes. We can help with preparing child for assessment and treatment session by use of social story and visuals sent in advance should this be required. This is free of charge. Rhythmic Movement Therapy – assessment of reflexes and one to one therapy.